Frank A. Lightmas Jr. - Mediator based in Atlanta, Georgia. If you’d like a list of available dates for Frank Lightmas, please submit a request below. You will hear back directly from Frank's assistant, Virginia Ragland. Frank Lightmas has been a trial lawyer and commercial and business litigator for over 38 years. 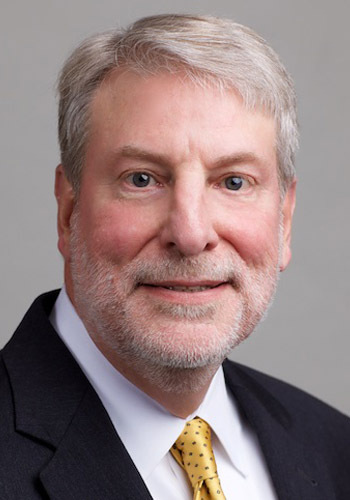 He has argued cases before federal and state appellate courts, tried jury and non-jury cases in federal and state courts, tried cases before arbitration tribunals of the AAA, FINRA, the NYSE, the CBOE, the Municipal Securities Rulemaking Board and ad hoc panels, and appeared in contested hearings before federal and state agencies and federal, state and professional licensing, enforcement, regulatory and disciplinary boards and tribunals. Most cases have involved commercial and business disputes, contracts, corporation, partnership, shareholder, joint venture, limited liability and other intra-organizational disputes, securities and other financial fraud, officers and directors liability, professional liability and negligence, employment agreements, covenants not to compete or covenants not to solicit, trade secrets, breach of fiduciary duty claims, tortious interference with contractual relationships, negligence and other torts, intellectual property disputes, insurance and insurance coverage issues between insureds and insurance companies, defamation, real estate, education, employment, EEOC and Title VII claims involving allegations of racial and sexual discrimination, banking and finance, healthcare, sports and entertainment, environmental actions involving federal claims under CERCLA and state law claims, franchise, technology, trusts/estates and probate and transportation. Mr. Lightmas has received the AV Preeminent rating by the Martindale-Hubbell® Peer Review Ratings, which is the highest rating bestowed by Martindale-Hubbell and is an objective indicator of his high ethical standards and professional ability, and has been named a Georgia Super Lawyer®. He also is certified by and registered with the Georgia Office of Dispute Resolution as a neutral in the areas of arbitration, general mediation and early neutral evaluation. Mr. Lightmas has also served as an arbitrator for over 25 years for parties who have privately retained him and as a member of various arbitration neutral panels. These arbitrations have included single neutral arbitations, single neutral arbitrations decided on the basis of written submissions only, 3-neutral panels and 5-neutral panels. On all but a few of these, he has serviced as chairperson. As chairperson, he has conducted and participated in pre-hearing conferences, issued discovery, non-dispositive and dispositive rulings, and held arbitration hearings that have resulted in final awards being issued. The longest of these hearings lasted over 20 sessions spread over several weeks. To learn more about Mr. Lightmas' litigation, mediation and arbitration experience, please go to http//www.lightmaslaw.com. To review his complete resume, please go to http://www.lightmaslaw.com and click on the button "Download Resume" at the top right corner. $395 per hour. No per party charge or administrative fee charge. If travel of more than 1 hour outside of Atlanta is required, travel is billed at $200 per hour up to a maximum of 5 hours.